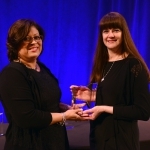 RESEARCH TRIANGLE PARK, NC –Cindy Bullard has received an excellence in teaching award from the North Carolina Science, Mathematics, and Technology Center. 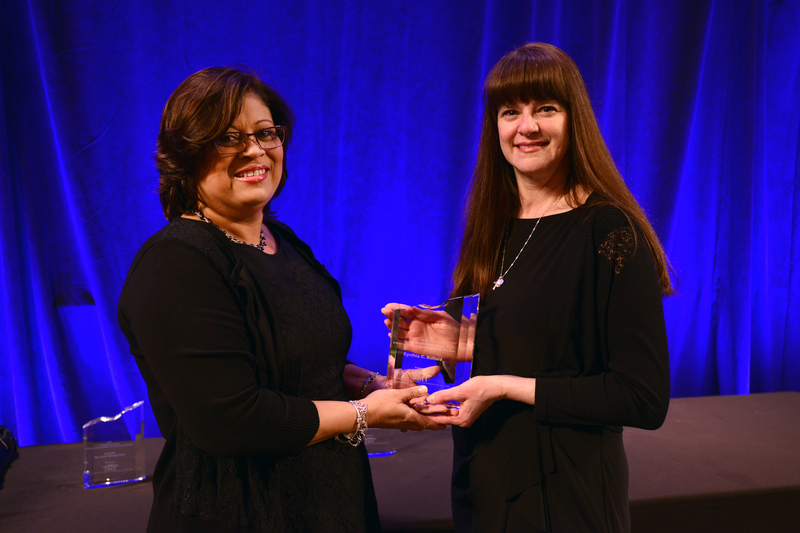 The SMT Center awarded the Ms. Bullard at its annual SMT Celebration gala on April 18. Cindy Bullard has 13 years of experience in teaching at the middle school level. She has a M.Ed. in middle grades education and is a National Board Certified Teacher. Cindy is also a doctoral student at the University of North Carolina-Greensboro, where she has served as an Adjunct Lecturer in science methods courses. Cindy has been recognized several times for her innovative approaches to science education, having received the Burroughs Wellcome Fund’s Promoting Innovation in Science and Mathematics Award and the NC Science Teacher’s Distinguished Service in Science Education Award.